This has been a good month for Blogging and gear designing. This makes 7 posts this month. 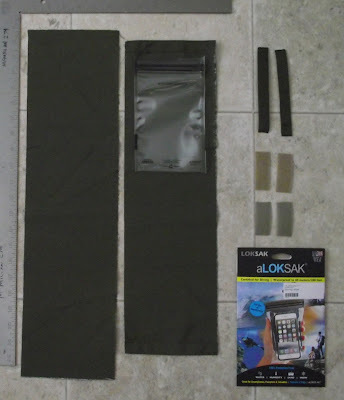 I have recently discovered that The Shooting Edge in Calgary, AB (www.theshootingedge.com ) has a supply of LOKSAK products. These are the guys who build waterproof pouches to protect your gear - from cellphones to rifles. 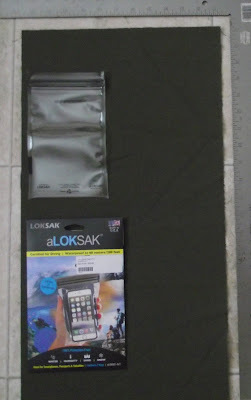 Learn more at: (www.loksak.com). 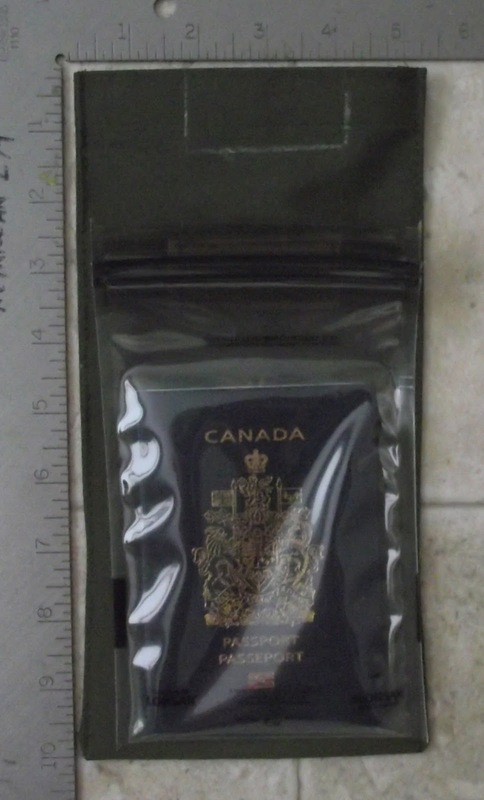 and passports. Which is the project we want to complete.....a passport neck pouch. 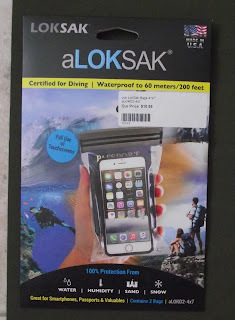 Now, that LOKSAK is handling the waterproofing, this opens up the fabric choices. To be lightweight and tough I am opting for Commander DWR type fabric. 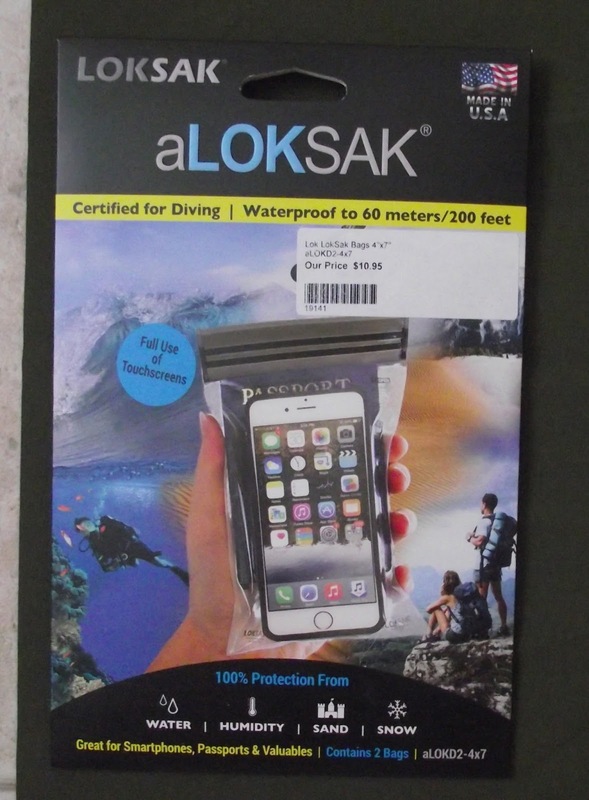 This has a light water repellent finish but still tough enough for day-to-day use. 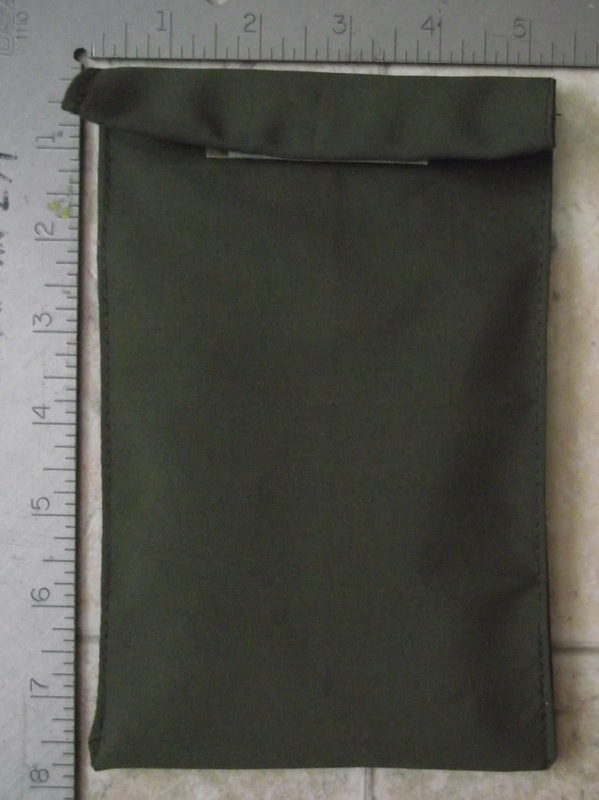 There is nothing fancy about this pouch, just finish the top edges (front & rear), add Velcro hook & loop, a belt loop and sew up the side seams. 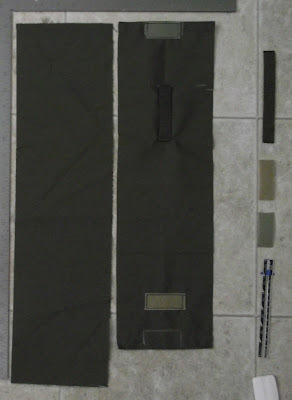 The fabric wants to be: 6" x 22". Any smaller and things get a bit tight. Remember to test the rolltop before deciding where to place the Velcro hook and loop. Chalk the locations. Centre the belt loop and have the top of the loop about 6" up from the bottom of the finished pouch. Sew the belt loop so there is enough space at the top for the neck cord to pass through. Once everything has been added, lay the pouch - goodside-to-goodside and sew the edge seams. 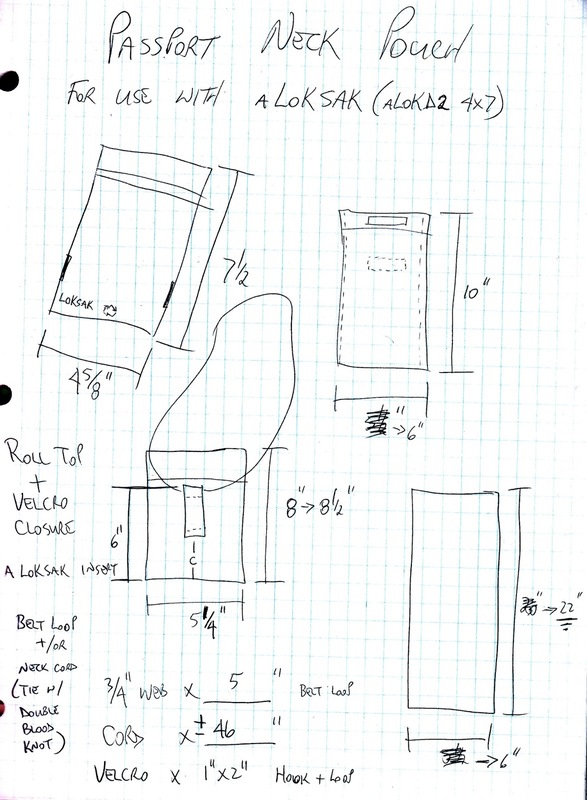 1/4" side seams should be the maximum size. Sew another set closer to the cut edge. 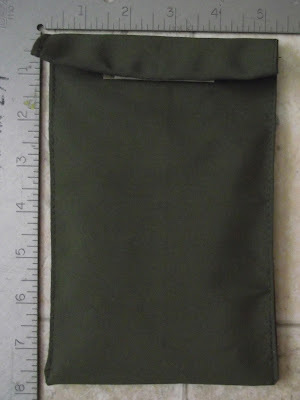 Invert the pouch and topstitch down both side seams, using very close seam allowance - 1/16th of an inch. Last step, cut and melt the ends of your cord. 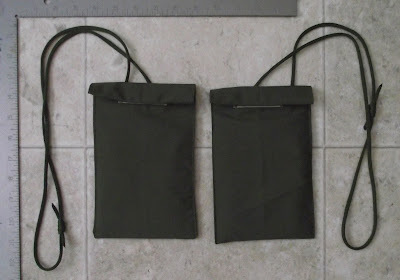 Feed through the top of the belt loop. Tie into a loop using a double fisherman's/double blood knot. Insert passport into the LOKSAK and insert the LOKSAK into the passport neck pouch. You're done!! Until next time.......go traveling!!! Don't forget your passport.